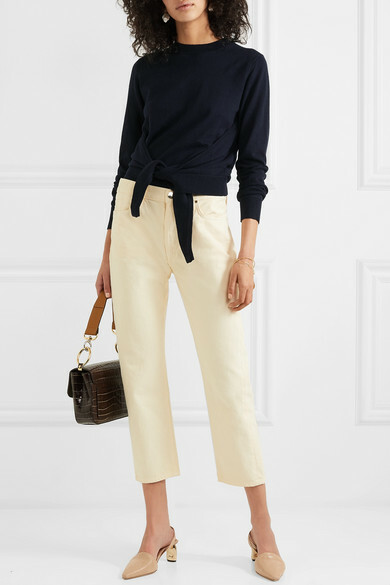 See By Chloé's clothes always have an ease about them. 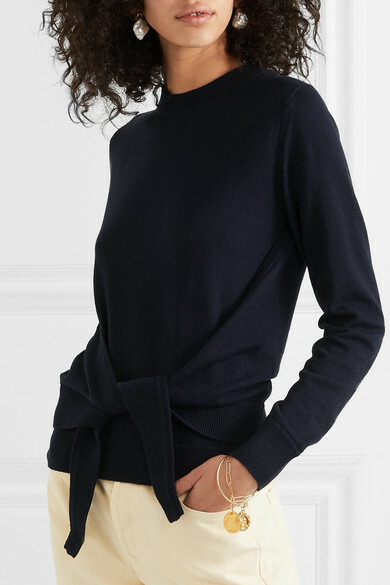 This sweater is layered so you can knot it effortlessly at the front. 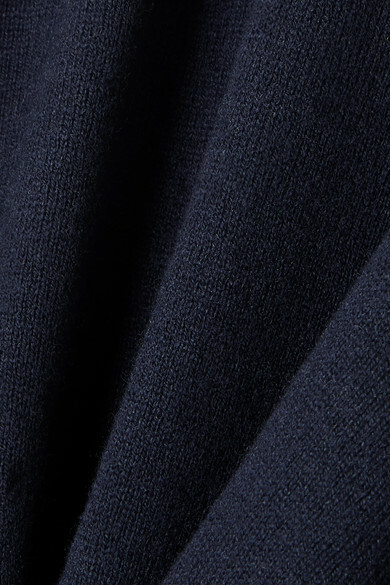 It's made from wool and cotton-blend that's fluid but warm, and dyed a navy hue that will go with every kind of denim. Shown here with: Goldsign Jeans, Chloé Shoulder bag, REJINA PYO Pumps, Alighieri Bracelet, Alighieri Bracelet, Chloé Earrings.